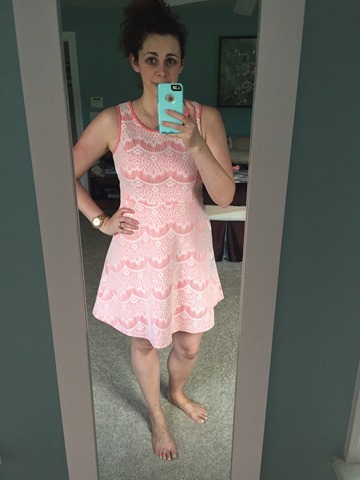 Yesterday was one of my favorite days, I arrived home to a Stitch Fix shipment! If you haven’t tried Stitch Fix yet, let me just tell you….it feels like Christmas morning when you see that turquoise and white label wrapped around the brown box on your front porch! 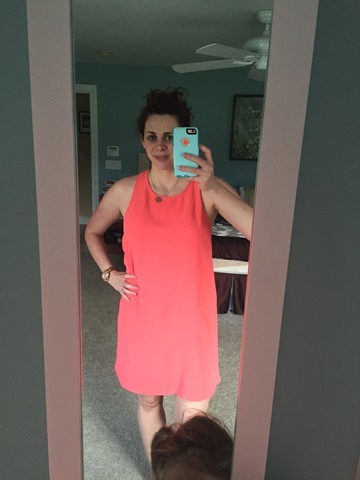 For those of you who have yet to try, or hear, about Stitch Fix, it’s pretty much amazing! How it works: You register for a free account on Stitch Fix (<————-referral link) and fill out a style profile. You enter your measurements, sizes, and rate different styles on how much you like them. You can also link your Pinterest style pages to your account so your stylist can look at them! 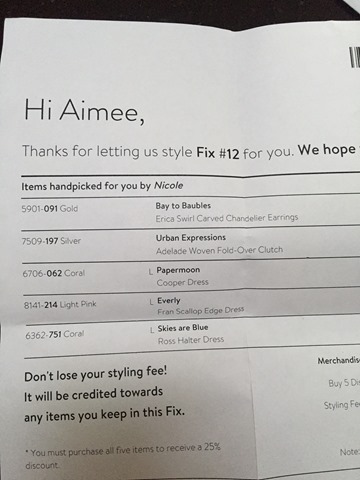 Once you decide on placing an order you are charged a $20 (which can be used as credit when you make a purchase) “styling” fee. 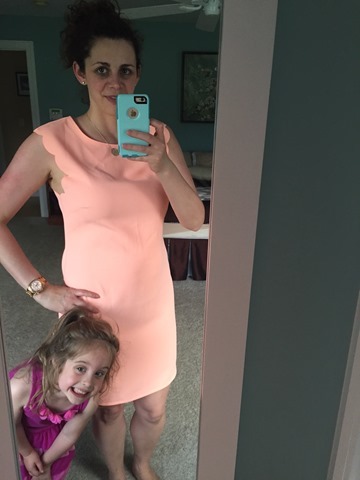 The stylist then chooses 5 items they think you may like and sends them your way! You have no idea what you are going to get and I’m usually pleasantly surprised! I LOVE the back of this first dress, and it is super comfortable. I feel like pictures don’t do it any justice and that it is actually really cute! Oh look who it is again…..Little Miss Reagan loves the camera! 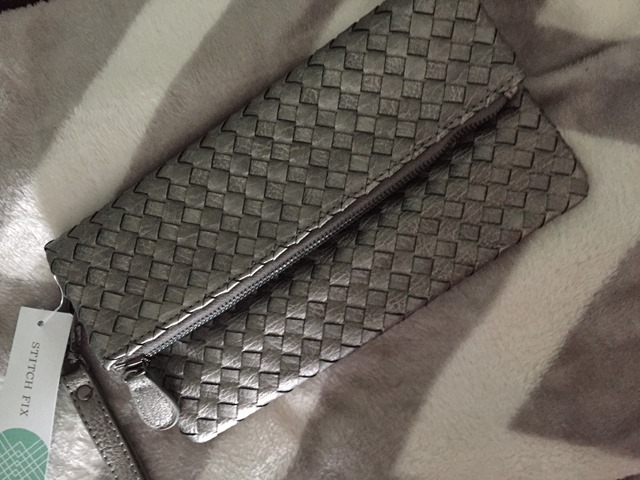 This clutch is adorable and as much as I want to keep it I will be sending it back. 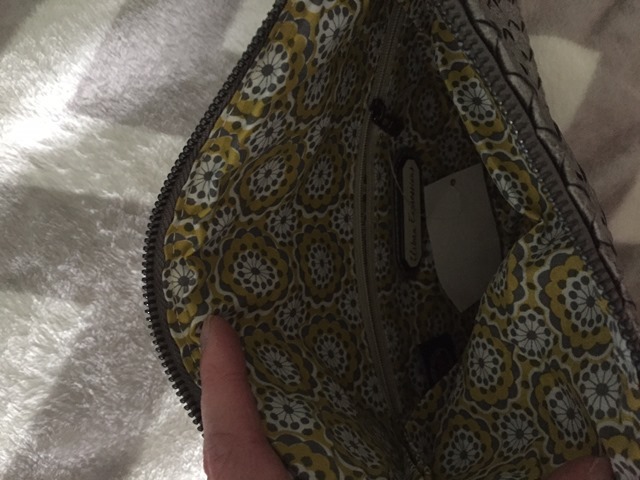 If you know me, you know I have more purses and clutches than I know what to do with! 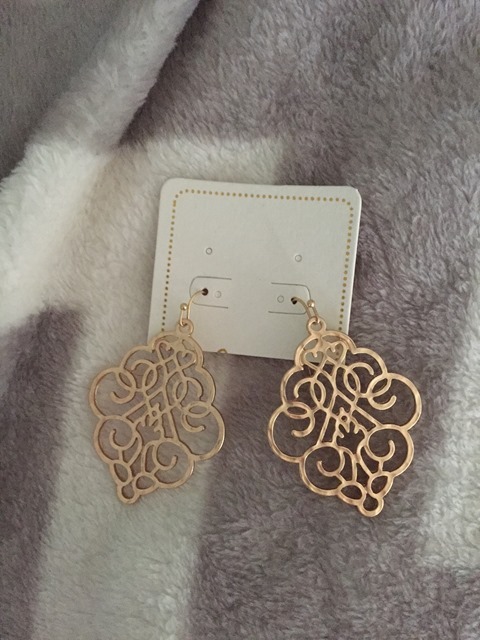 I have a pair of earrings that are similar but I like the quality of these so I’m thinking about keeping them! Decisions, decisions……what would you keep/send back?! Let me know in the comments below! !